The word Geothermal is derived from two Greek words “Geo” which means ‘Earth’ and “Thermo” which means ‘Heat’. 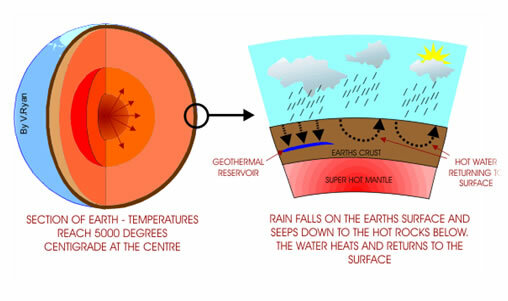 Thus, geothermal energy is the internal heat of the earth. It is a clean and sustainable source of energy. The geothermal resources are found in the ranges from low-to-high enthalpy resources. They are manifested on the surface in three forms hot springs, fumaroles and geysers.The amount of heat within 10,000 meters of earth’s surface is 50,000 times more energy than all the oil and natural gas resources in the world. Geothermal energy is being used for direct as well as indirect uses for domestic, commercial and industrial purpose. The countries like Iceland, Indonesia,Mexico, Philippines, New Zealand, Iceland, California (US) are highly active in the field of exploration and exploitation of Geothermal energy. However, in India, the potential Geothermal Energy has not yet been tapped. Puga Valley (Jammu and Kashmir), Tatapani (Chhattisgarh), Chamoli (Uttarakhand), and Bakreshwar (West Bengal) have been looked upon as the potential geothermal reservoirs till date. But, as per the studies conducted by Geological Survey of India (GSI), Gujarat also has a potential of geothermal energy, which is yet to be explored. 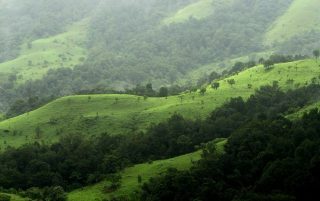 In order to put Gujarat on unconventional energy basket in India, GoG took an initiative of establishing a centre dedicated to research & development activities in the area of exploration and exploitation of geothermal energy. 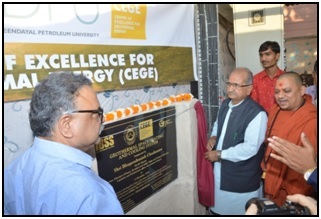 In this light, with the support of GoG, PDPU established Centre of Excellence for Geothermal Energy (CEGE) on 10th of October, 2013. For smooth functioning of the centre, PDPU faculties took a lead and started developmental activities for the centre. With time, research professionals were also inducted into the centre in order to fulfil the aspirations of GoG as well as the centre. 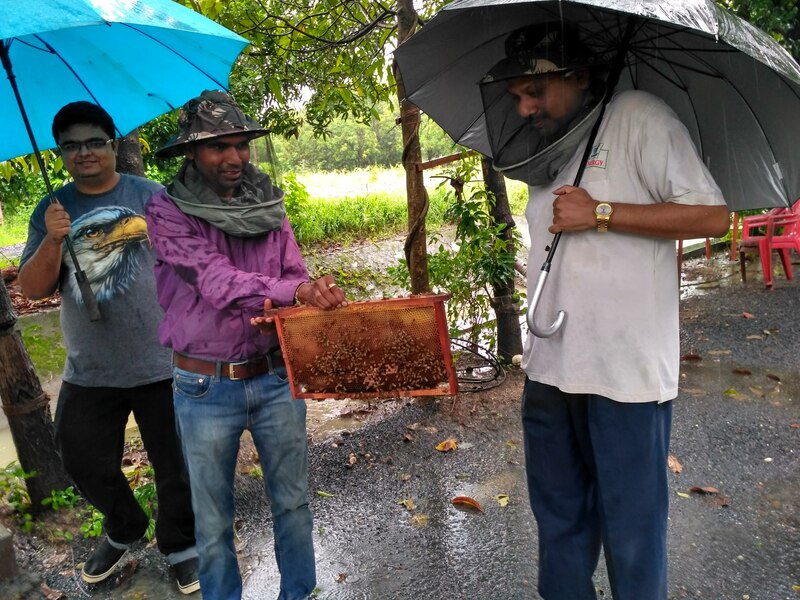 Dr. Bijaya K. Behera and Mr. Vinay Babu left PDPU in July 2014. In August 2014, Dr. Anirbid Sircar was appointed as Head CEGE and Ms Shreya Sahajpal was appointed as a coordinator. 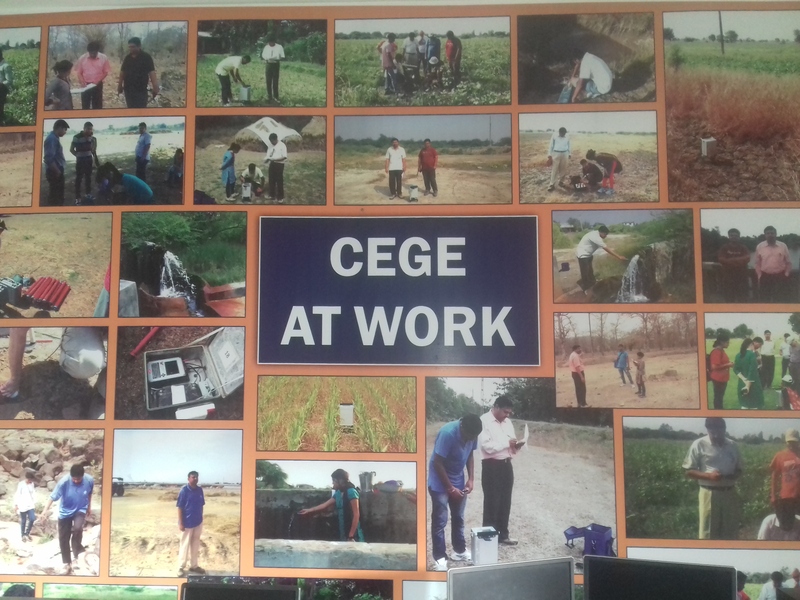 CEGE has involved in various projects like 2D Magnetotellurics, Gravity, Magnetic and Seismic surveys at Dholera, Unai and Gandhar. 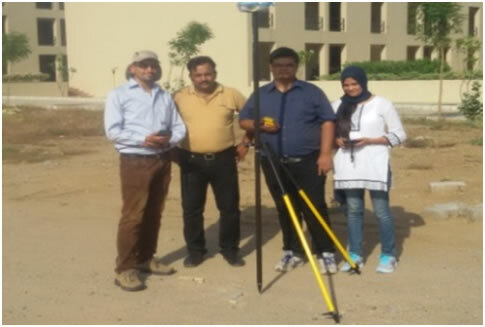 CEGE team has carried out pioneer projects like 3D Magnetotelluric Survey at Unai and Installation, Fabrication and Commissioning of Geothermal Space Heating and Cooling System at Dholera. In December 2016, Ms Shreya Sahajpal left the organization and will be continuing as the Geothermal Expert. Prof Anirbid Sircar is a Head, Centre of Excellence for Geothermal Energy. Dr. Sircar graduated from IIT Kharagpur and did his Master of Technology and Ph.D from ISM Dhanbad on reservoir tomography. 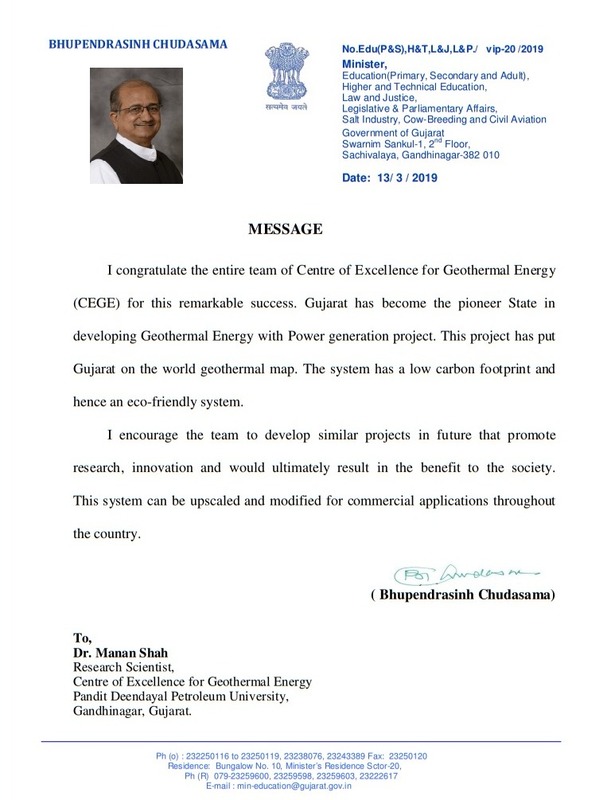 He has been actively involved in the exploration and exploitation activities of geothermal energy in Gujarat, India. He also has immense experience in the applied Petroleum exploration related activities. Dr. Sircar has about 20 years of industrial and academic experience. 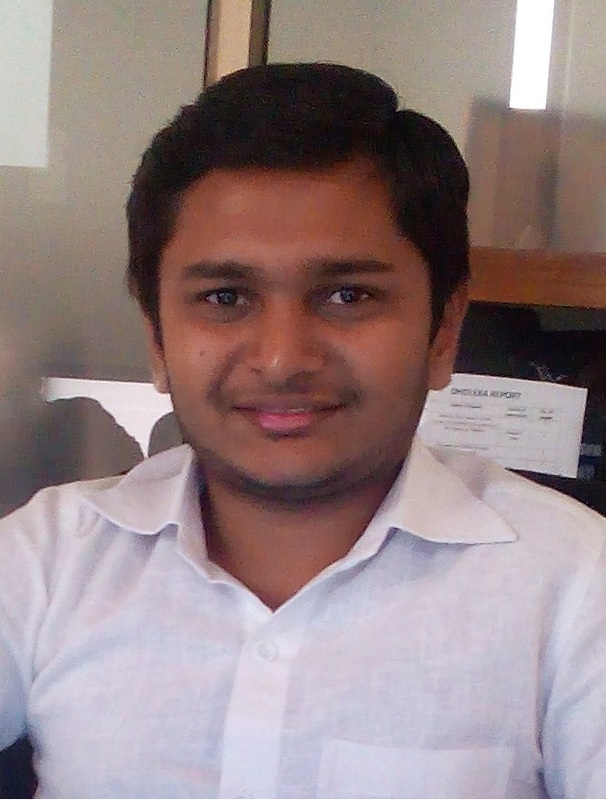 Mr. Shishir Chandra did his B.Tech in Mechanical Engineering from Uttar Pradesh Technical University. In 2017 he completed his M. Tech degree in Petroleum Engineering from Pandit Deendayal Petroleum University, during which he did his M.Tech project on System Design of Organic Rankine Cycle for low enthalpy geothermal reservoirs. After passing from the University he joined Centre of Excellence in Geothermal Energy as Research Associate. Mr. Shishir after joining CEGE has been actively involved in various activities in the area of geothermal energy with especial focus on Organic Rankine Cycle and Space Heating and Cooling System. Mr. Manan Shah is B. Tech. in Chemical Engineering G. T. University and M. Tech. in Petroleum Engineering from School of Petroleum Technology, PDPU. He is currently working as a faculty in SPT, PDPU and Research Scientist in CEGE. He is pursuing his Ph. D. in the area of exploration and exploitation of Geothermal Energy in the state of Gujarat. His area of research includes power generation from low enthalpy geothermal reservoirs using Organic Rankine Cycle. He was also involved in designing of Geothermal Space Heating and Cooling system at Dholera. Currently he is working on Organic Rankine Cycle process for generating electricity through geothermal energy. 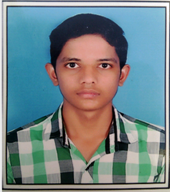 Mr. Vishalkumar Balar did his B.Tech in Mechanical Engineering from Gujarat Technological University. 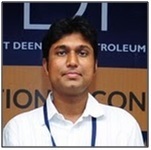 In 2017 he completed his M. Tech degree in Petroleum Engineering from Pandit Deendayal Petroleum University, During which he did his M.Tech thesis on “Consistent Discretisation on Complex Grids for Rapid Prototyping and Evaluation of Reservoir Simulation and Modelling of Johansen Formation, Offshore South-West Coast of Norway Field”. After passing from the University he joined Centre of Excellence for Geothermal Energy as Research Associate. Mr. Vishalkumar after joining CEGE has been actively involved in various activities in the area of exploitation of low enthalpy geothermal reservoirs such as commissioning and maintenance of Geothermal Space Heating and cooling at Dholera (First of its kind in India) with especial focus on Organic Rankine Cycle (ORC). Currently, he is working on Geo-Solar hybrid supercritical ORC. Ms. Kriti Yadav is a Research Scientist in Centre of Excellence for Geothermal Energy, Pandit Deendayal Petroleum University. She has expertise in the field of Petroleum Exploration. Her current research projects are in the field of Geothermal Energy and City Gas Distribution. She is pursuing her Ph.D in Geothermal Energy from Centre of Excellence for Geothermal Energy (CEGE), Pandit Deendayal Petroleum University. She posses Masters Degree in Geology from Patna University. Her area of research for PhD is entitled-Geothermal Exploration and Exploitation techniques with special reference to Gujarat, India. She is an active researcher of the team involved in Space Heating and Cooling plant at Dholera, Gujarat which is one of its kinds in India. She has authored several papers in the field of Geothermal Energy. Mrs. Namrata is a petroleum engineer. She is currently a faculty in the School of Petroleum Technology, PDPU and works as a Research scientist in CEGE. She is pursuing her Ph.D. in Hybrid Geothermal & Solar energy and has active involvement in various activities of CEGE. In addition, She also has a rich assortment of work experience from reputed firms like Weatherford International and Infosys Ltd.
Mr. Dharmesh is Diploma in Chemical Engineering. He joined CEGE as field engineer from March 2017. He is involved in maintenance and operation of space heating and cooling system at Dholera. 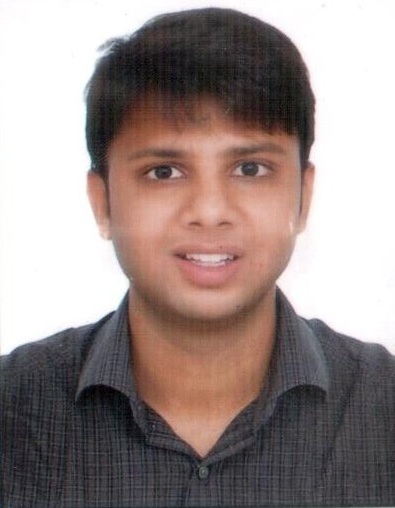 Mr. Kushal Shah has completed his b.tech in petroleum engineering from Pandit Deendayal Petroleum University in 2018. He has been currently working as a Research Assistant at CEGE. He has been actively involved in areas related to geothermal energy and operations & maintaince of space heating and cooling plant. CEGE, since its inception, is carrying out extensive research in the area of geothermal exploration and exploitation. 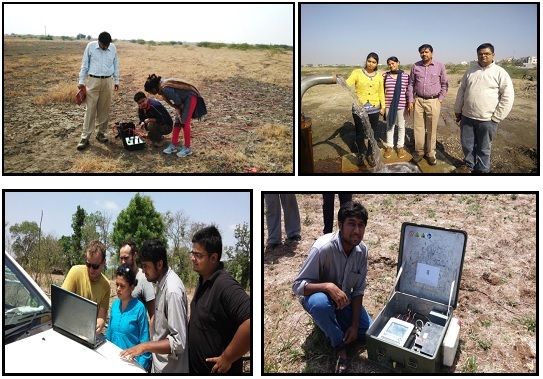 CEGE has completed exploration techniques such as Remote sensing studies, Geochemical studies, Magnetotelluric (MT) and Gravity survey to identify the location of geothermal reserves in three study areas namely Unai, Gandhar and Dholera. Geothermal energy exploration in India has long history. However, an extensive literature survey depicts that the efforts across India is not systematic. 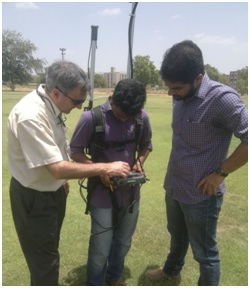 Remote sensing, Seismic, Gravity-Magnetic Survey, Electrical Resistivity and Magnetotelluric Surveys are the techniques normally used for exploration activity. Promising areas are identified in Himalayan area, Puga, Manikaran, Chhumatang, Beas and Satlej field, Chamoli, Western India. There have been efforts made by various organizations in exploration of this clean energy. Organizations likes NGRI and GSI are the leading forces behind such explorations for over four decades. However, no exploitation for domestic and commercial uses is known to the authors of this paper. 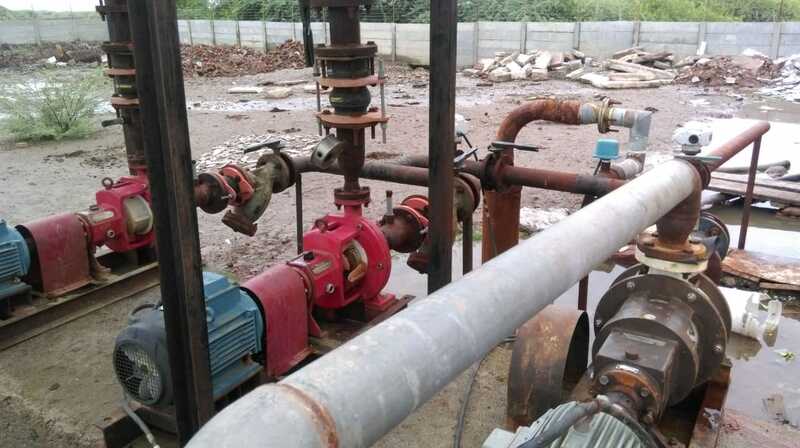 Bore well drilling, identification of hot water source and measuring temperature gradient are the parameters considered by most of the researchers. 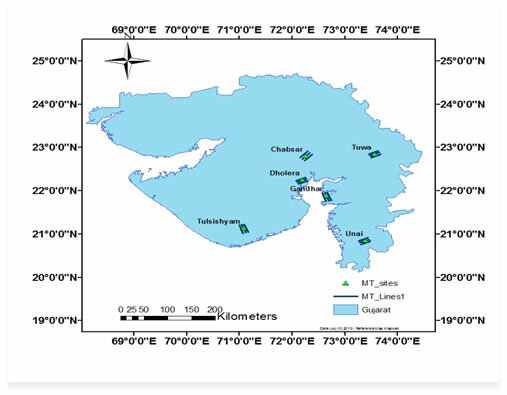 GSI has identified seventeen active hot springs in Gujarat region. After a review of this data, Government of Gujarat (GoG) directed PDPU, through Gujarat Power Corporation Limited (GPCL), to conduct research and development activities on geothermal potential at these seventeen identified sites. Prefeasibility studies were conducted by PDPU, primarily through remote sensing and landsat imageries to narrow down on the potential study areas. 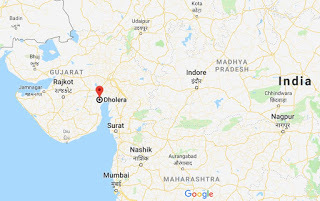 Six sites were identified for conducting further investigation on geothermal resource potential, namely Dholera, Unai, Gandhar, Tuwa, Chabsar and Tulsishyam which are shown in the map below. CEGE is carrying out exhaustive research in the investigative studies for analysing the resource potential of the above mentioned sites. CEGE has concentrated on three sites namely, Dholera, Gandhar and Unai for further investigation. Two sites i.e. 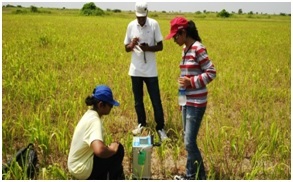 Chabsar and Tuwa are being investigated upon by Institute of Seismological Research (ISR), Gandhinagar. Tulsishyam being a wild life area, was not considered for further studies. CEGE has used techniques such as Geochemical studies, Magnetotelluric (MT) survey, and Gravity survey to identify the location of geothermal reserves in the study areas. 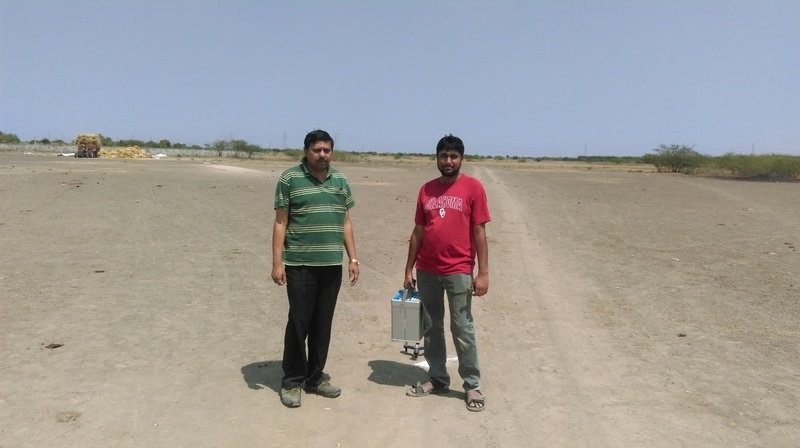 2D Magnetotelluric survey was carried out with the help of M/s PBG Geophysical Exploration Ltd., Poland at all the three locations (Unai, Gandhar and Dholera). The acquisition, processing and interpretation of MT data have depicted the subsurface picture reasonably well. 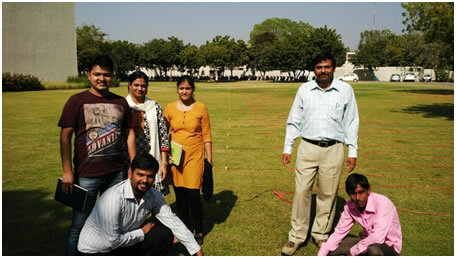 Based on 2D MT results, CEGE carried out 3D MT survey at Unai. 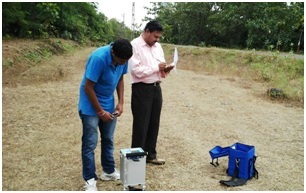 3D Magnetotelluric (MT) Survey has been done first time in India at Unai. Based on shallow MT models, CEGE has drilled first successful geothermal bore well at Swaminarayan Temple, Dholera. 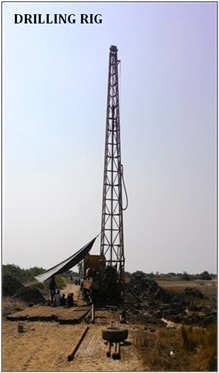 The first geothermal bore well named Dholera A01 has been drilled up to the depth of the 1000 ft. The hot water is gusting out of the mother earth with the flow rate of about 5 lit/sec and temperature is 45 deg C.
Geothermal Space Heating and Cooling system at Dholera is based on Ground Source Heat Pump (GSHP) instrument, a first of its kind in India. 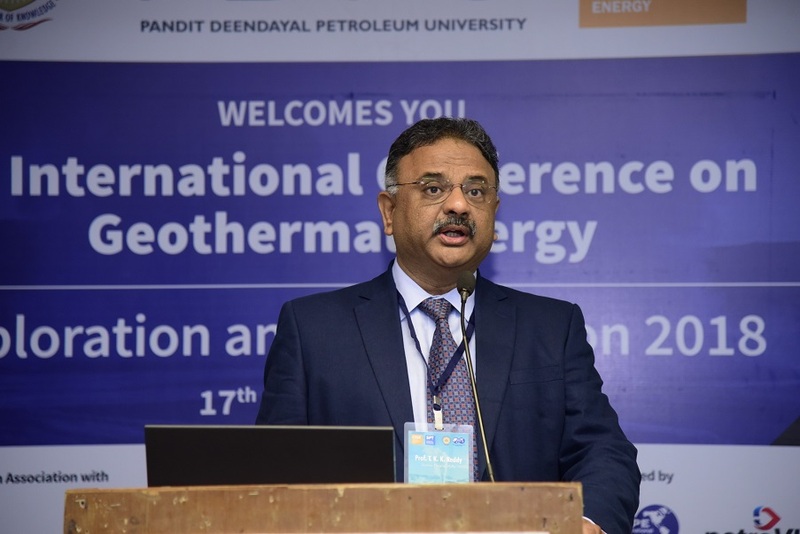 Centre of Excellence for Geothermal Energy (CEGE), Pandit Deendayal Petroleum University (PDPU) have developed this system in association with Green India Building System and Services (GIBSS). This system has been implemented at Dholera geothermal site, located in the Ahmedabad district in the Swaminarayan Temple. 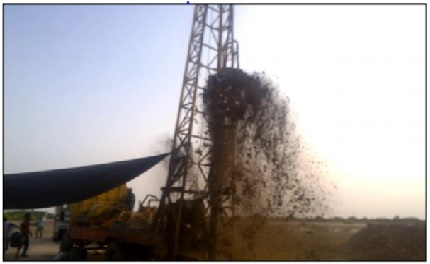 Based on various exploration techniques, two geothermal bore wells were drilled at Dholera on October 28, 2015 and January 31, 2016 respectively of 1000 feet depth. The temperature of the water is 47 to 50 degree Celsius, with a flow rate of seven to eight litters per second. The water is produced from the well without any external energy. Geothermal Heat Pump or Ground Source Heat pump is one such method, which can be used to utilize the energy from the low enthalpy reservoir. The geothermal space heating and cooling system consists of heat exchanging device at both condenser and evaporator side of the Ground Source Heat Pump (GSHP). The heat pump is a device, which is designed in such a way that it provides heating and cooling system simultaneously using geothermal energy as a source. 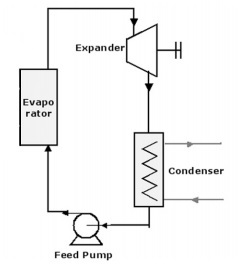 The heat pump consists of four components namely evaporator, condenser, compressor and expansion valve. Evaporator (cooling side) of the heat pump is utilized for comfort cooling to assembly Hall at the temple. 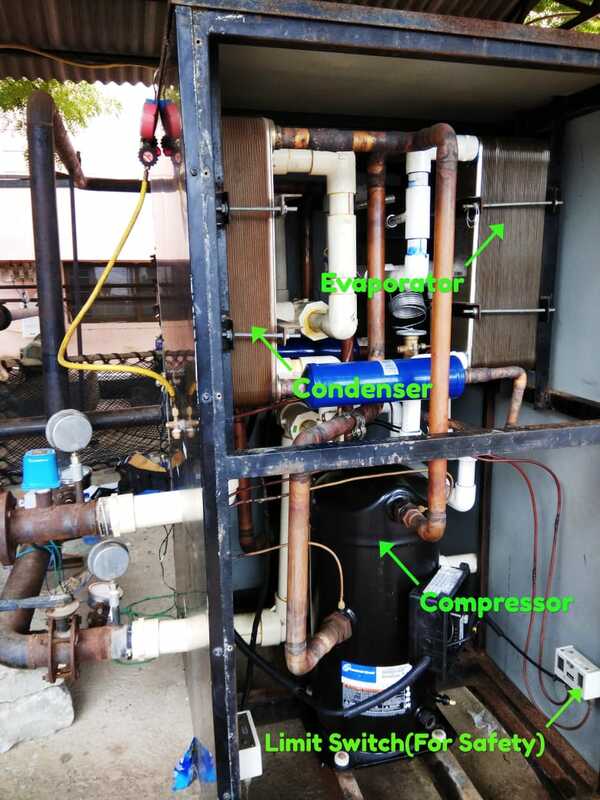 The output from Condenser (heating side) of the heat pump will be utilized as an input to Organic Rankine Cycle (ORC) for power generation at pilot scale. The system is producing cooling of 32 TR capacities at the Sabhamandap (Assembly Hall) of the temple as an additional benefit. The heat pump system is highly energy efficient and eco-friendly system with minimum usage of water and optimum requirement of electricity. The geothermal space heating and cooling system will help in replacing conventional air conditioning systems, water cooling systems and water heating systems in highly energy efficient manner. In this system, the consumption of electricity is reduced and financial benefits can be achieved in the long run. The capital expenditure of such systems is high, however, due to lesser operational expenditure; it will be commercially beneficial in the long run. The payback period varies based on the size of the system, applicability, usage and ambient atmosphere. Additionally, the system being a closed loop system, huge amounts of water will be saved. The system doesn't emit any kind of greenhouse gases as well. The hot water produced from the system can also be utilized in some of the other direct applications such as green houses, ice melting, fish farming, crop drying, capsicum and tomato cultivation and spa/domestic purposes, whereas the cold water produced can be utilized in cold storages and process cooling in commercial and industrial applications. The inauguration ceremony of the plant was held on 13 December, 2016 at 4:30 PM at Swaminarayan Temple, Dholera, Gujarat. 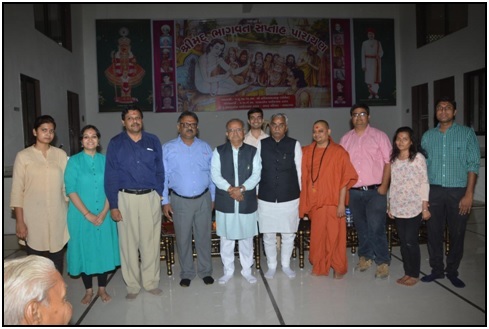 Honourable Minister Shri Bhupendra Singh Chudasama [Minister of Revenue, Education (Primary, Secondary and Adult), Higher and Technical Education, Legislative and Parliamentary affairs] was the Chief Guest in the event. The system was inaugurated by him at 5:00 PM in the evening as he cut the ribbon and unveiled the foundation stone. 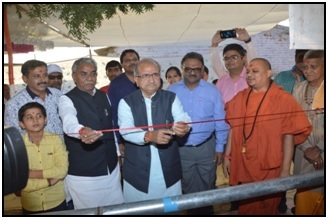 The ribbon cutting ceremony was followed by inaugural session in the Sabha Mandap of the Swaminarayan Temple. The hall was air cooled by the Geothermal Space Heating and Cooling system. 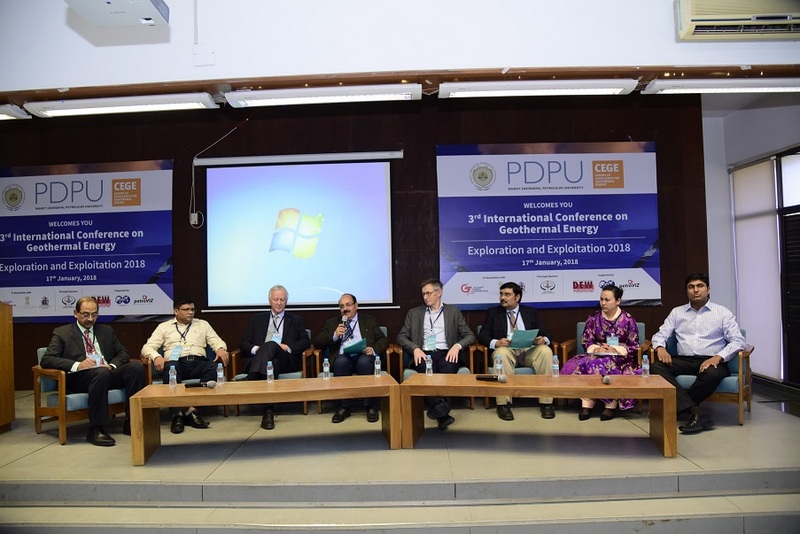 Dr. T. K. K. Reddy, Director General, PDPU, Dr Anirbid Sircar, School of Petroleum Technology and Head-CEGE, faculty members from PDPU and entire team CEGE were present during the event. Function also witnessed various esteem guests from industries like ONGC Energy Centre New Delhi, and Green India Building System and Services (GIBSS), Mumbai and Saket Engineering, Vadodara and Ministry of New and Renewable Energy (MNRE), Government of India. Shri Bhupendra Sinh Chudasama congratulated the entire team for the remarkable success of the project. He also appreciated the overall efforts of the entire team of CEGE. He also appreciated the academic benefits generated through this project. The Organic Rankine Cycle (ORC) system involves the same component as in a conventional steam power plant i.e. a boiler (heat exchanger/evaporator), a work producing expansion device (turbine), a condenser (cooling towers) and a feed pump. 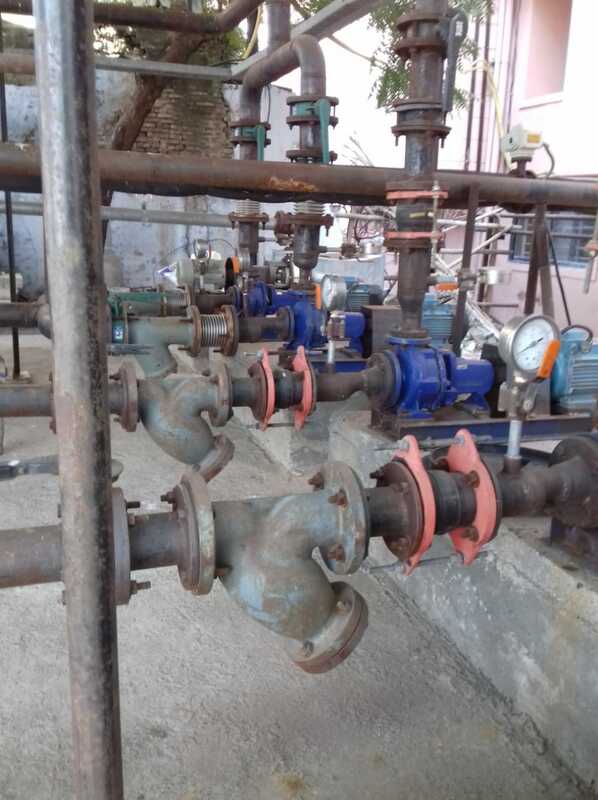 After successful commissioning of the Geothermal Space Heating and Cooling plant at Dholera, CEGE is focussing on pilot scale electricity using Organic Rankine Cycle (ORC). The Geothermal Space Heating and Cooling system based on Ground Source Heat Pump (GSHP) system will be integrated with the ORC system in a unique way. The output of the GSHP system will be used as the input for the ORC system. The geothermal power generated through the ORC system will be first of its kind in India. After the successful project on a pilot scale, the system can be replicated on a commercial level. ORC systems are used for power generation from water flowing at low temperature. The ORC system uses an organic fluid with low boiling point than that of water. The minimum required temperature of the flowing water is 77 to 80 degree Celsius. The GSHP system is designed in such a way that the output of the heating side of the system is 80 degree Celsius. This output will be used as an input to the ORC. 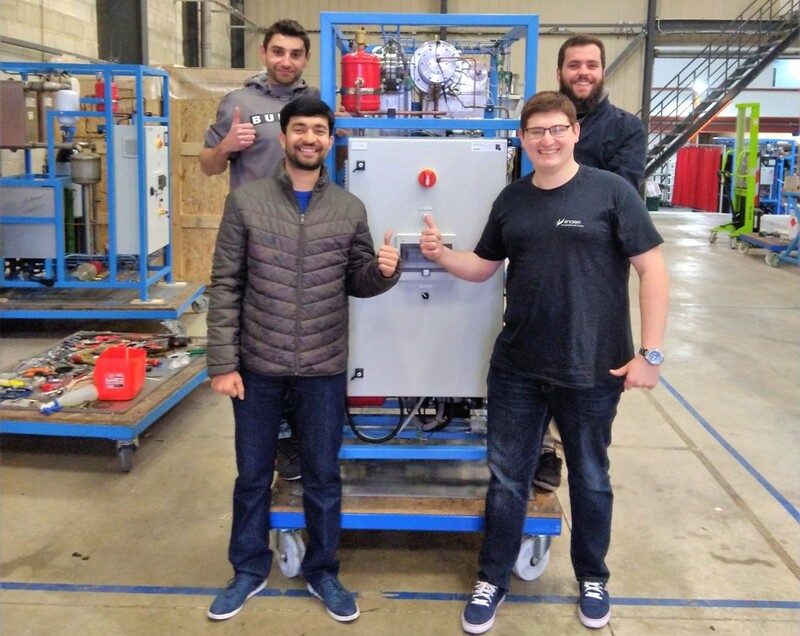 Apart from power generation, CEGE is exploring the possibilities of utilising the low enthalpy geothermal water for various direct applications. In India, the geothermal fields are of low enthalpy in nature compared to other part of the world. However, the direct applications of geothermal can be taken into consideration for low enthalpy geothermal fields in India, as these applications require relatively low temperature to function. Some of the direct applications are milk pasteurisation, fish farming, crop drying, green house, agriculture, sericulture, and balneology. If the shallow geothermal well at Unai is successful, the hot water generated from the well will be utilised for different direct applications based on the local conditions. CEGE is planning to drill 1000 ft. Deep bore well in Unai geothermal field. The well parameters will be similar to Dholera geothermal wells A01 and A02. The drilling activity will be carried out at the best possible location identified based on the results of 2D and 3D magnetotelluric survey, gravity survey, remote sensing and geochemical analysis. If the geothermal well is successful, the hot water produced from the well will be utilised for direct applications of geothermal energy. The Unai field is surrounded by rural areas with the population largely dependent on agriculture and cattle-rearing. Additionally, Unai site is located in vicinity of a dense forest area with different varieties of vegetation and cultivated land. Hence, in this region, applications related to agriculture, green houses and animal husbandry can be implemented in the area. 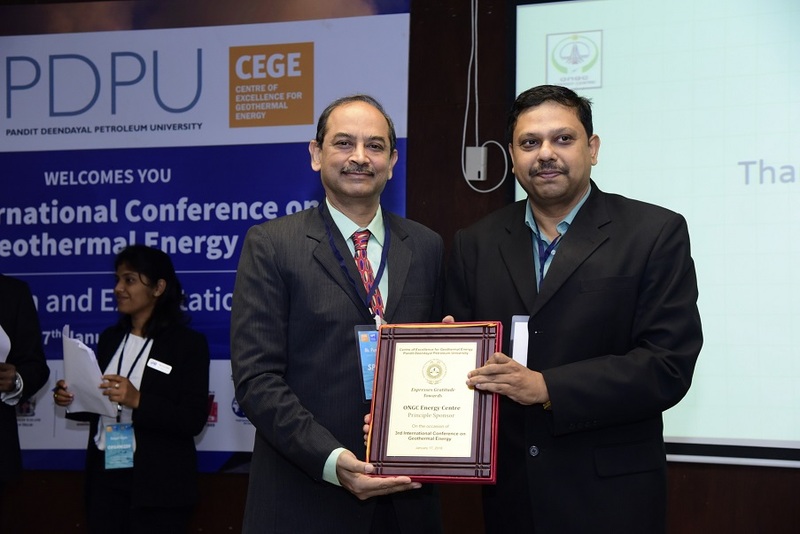 • CEGE has signed a Memorandum of Understanding (MoU) with ONGC Energy Centre (OEC) for efficient technology and knowledge sharing on 18th June 2015. ONGC Energy Centre (OEC) functions under the aegis of the ONGC Energy Centre Trust, which was, set up by Oil and Natural Gas Corporation Limited, (ONGC), established under Indian Trust Act on August 8, 2005. ONGC Energy Centre Trust is a research and technology development centre, engaged in research of various renewable and clean energy options, specifically focusing on projects which have the potential to make an impact on India’s energy scenario. 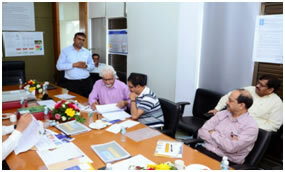 The Centre also aims to pursue projects till demonstration for commercialization. • CEGE has signed a Memorandum of Understanding (MoU) with Green Green India Building Systems and Services (GIBSS).CEGE, PDPU is working in collaboration with M/S GIBSS, to design the pilot project on Space Heating/Cooling and demonstration of the efficacy of heat pumps in increasing and decreasing the temperature of geothermal water for societal benefits. The dual purpose system device (acceptance and rejection of heat) will be first of its kind in India. The success of the pilot project, will pave a way for the electricity generation which will require some more studies on turbines, evaporators and condensers. • CEGE has signed a Memorandum of Understanding with Dedan Kimathi University of Technology (DKUT), Kenya. CEGE team visited Kenya to understand various technologies related to geothermal exploration strategies and geothermal power generation in Kenya. CEGE team also visited different geothermal fields in Kenya including Olkaria Geothermal Field, which is one of the prominent geothermal in Kenya. CEGE is looking forward to work with DKUT for various geothermal projects in future. Apart from commercial success, this project has a lot of research prospects linked to it. 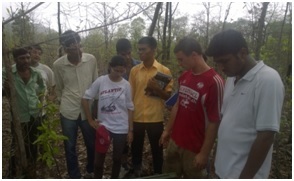 Many students and budding academicians are associated with the project. 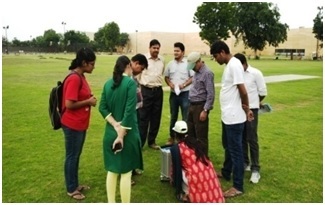 CEGE organizes field visits, workshops and trainings for students to give them a hands-on learning experience on various software and instruments used in the project for data acquisition and processing. CEGE team have visited Stanford University to attend and present papers on Utilization of Abandoned Coal Mines as a Low Enthalpy Geothermal Resource and Subsequent Energy Exploitation and Space Heating and Cooling Application Based on Low Enthalpy Geothermal Reservoirs with a Focus on Indian Subcontinent at 42nd Stanford Geothermal Workshop, 2017. Mr. Manan Shah started his Ph.D. Research in the area of Geothermal Energy Exploration & Exploitation: A Case Study from Gujarat, INDIA. 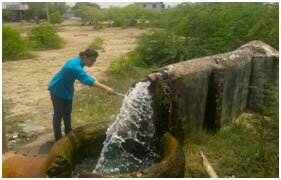 Ms. Kriti Yadav has started her Ph.D Research on Exploration of Geothermal hot spots in Gujarat, India. 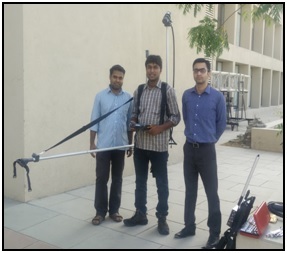 M.Tech Students: Mr. Ranju Chinnan and Mr. Rahul Manohar from SPT have completed their projects in 2016 on Geothermal Exploration Techniques with special reference to Seismic Survey, Geothermal Energy Harnessing etc. 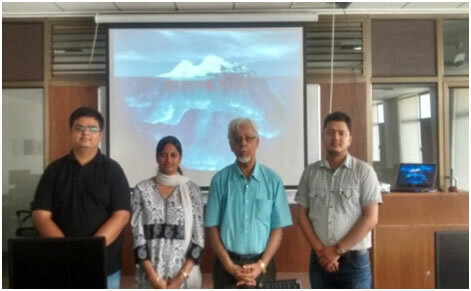 A group of B.Tech Students have completed a research project on Utilisation of Ground Source Heat Pumps in Low Enthalpy Geothermal Reservoirs. Several other M.Tech and PhD. Projects in geothermal energy will initiate in 2017. Sircar A., Chandra S., Shah M., “Utilization of Geo-Solar Hybrid System for Efficient Power Production in India” Nanotechnology for Energy and Water, Springer Proceedings in Energy ,Chapter 28. Sircar A., Sahajpal S., and Yadav K., 2016, “A review on Organic Rankine Cycle: Application to Geothermal Energy”, Dew Journal. Sircar A., Shah M., Vaidya D., Dhale S., Sahajpal S., and Yadav K., “2D and 3D Magnetotelluric (MT) Survey for Geothermal Reservoir Identification at Unai Geothermal Field, India", Dew journal (UGC approved journal). Sircar A., Shah M., Vaidya D., Dhale S., Sahajpal S., Yadav K., Garg S., Sarkar P., Sharma D., Mishra T., and Shukla Y., “Performance Simulation of Ground Source Heat Pump System based on Low Enthalpy Geothermal Systems”, Emerging trends in Chemical Engineering, Vol. 4(1), pp. 29-39. Balar V, Shah K, Shah M, Sircar A and Chandra S., (2019) Modeling and Thermodynamic Analysis of a Geothermal-Solar Hybrid Plant Based on Supercritical Organic Rankine Cycle (ORC), 44th Stanford Geothermal Workshop 2019, Stanford University, California. Balar V, Shah K, Shah M, Sircar A and Chandra S., (2019) Integrated Direct and Indirect Uses of Geothermal Reserves - A Case Study of Gandhar Oil Field, Gujarat, India, 44th Stanford Geothermal Workshop 2019, Stanford University, California. Shah V, Dudhat K, Shah M, Sircar A and Chandra S., (2019) Utilization of Geothermal-solar Hybrid Concept for Efficient Power Production, 44th Stanford Geothermal Workshop 2019, Stanford University, California. Yadav K and Sircar A., (2019) Assessment of Geothermal Energy Resource in Unai, Gujarat, India, 44th Stanford Geothermal Workshop 2019, Stanford University, California. Shingala J, Vora N, Shah M and Sircar A., (2019) Dual String Drilling: A Novel Approach Towards the Geothermal Well Application, 44th Stanford Geothermal Workshop 2019, Stanford University, California. Patel D, Thakar V, Shah M and Sircar A., (2019) Identifying Casing While Drilling (CWD) Potential in Geothermal Scenario Along with Economics, 44th Stanford Geothermal Workshop 2019, Stanford University, California. Thakkar A, Raval A, Shah M and Sircar A., (2019) Application of Fibres in Geothermal Well Cements, 44th Stanford Geothermal Workshop 2019, Stanford University, California. Shah M, Vaidya D, Sircar A and Sahajpal S., (2017) Utilization of Abandoned Coal Mines as a Low Enthalpy Geothermal Resource and Subsequent Energy Exploitation, 42nd Stanford Geothermal Workshop 2017, Stanford University, California. Vaidya D, Shah M, Sircar A and Sahajpal S., (2017) Space Heating and Cooling Application Based on Low Enthalpy Geothermal Reservoirs with a Focus on Indian Subcontinent, 42nd Stanford Geothermal Workshop 2017, Stanford University, California. 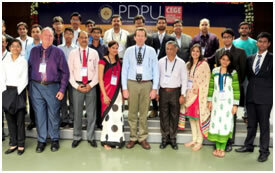 Sircar, A., Sahajpal, S., Singh, A., Vaidya, D., Shah, M., Dhale, S., (2015), Exploration of Geothermal Resources in Gujarat, India, International Conference on Geothermal Energy: Exploration & Exploitation, May 2015, Pandit Deendayal Petroleum University, Gandhinagar, Gujarat. 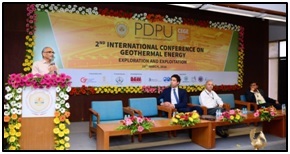 Sircar, A., Dhale, S., Vaidya, D., Sahajpal, S., Singh, A., Shah, M. and Yadav K., (2016), Exploration and Exploitation of Geothermal Resources in Gujarat, India, 2nd International Conference on Geothermal Energy: Exploration & Exploitation, March 2016, Pandit Deendayal Petroleum University, Gandhinagar, Gujarat. Differential GPS has more accuracy than GPS which is 0.3 cm. 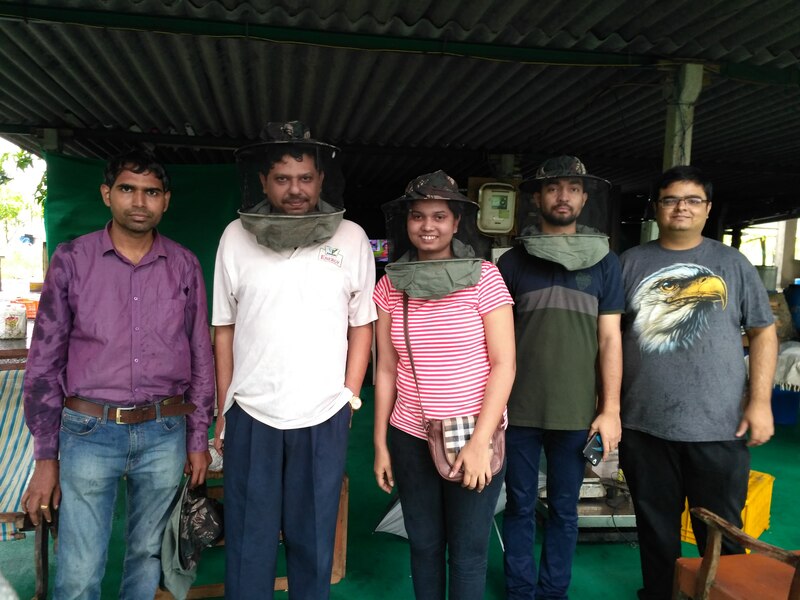 A group of students visited Tulsishyam hot spring in order to understand geology and geochemical analysis of the hot spring of Tulsishyam. Visit to Unai and Dholera geothermal location to acquire Gravity data. 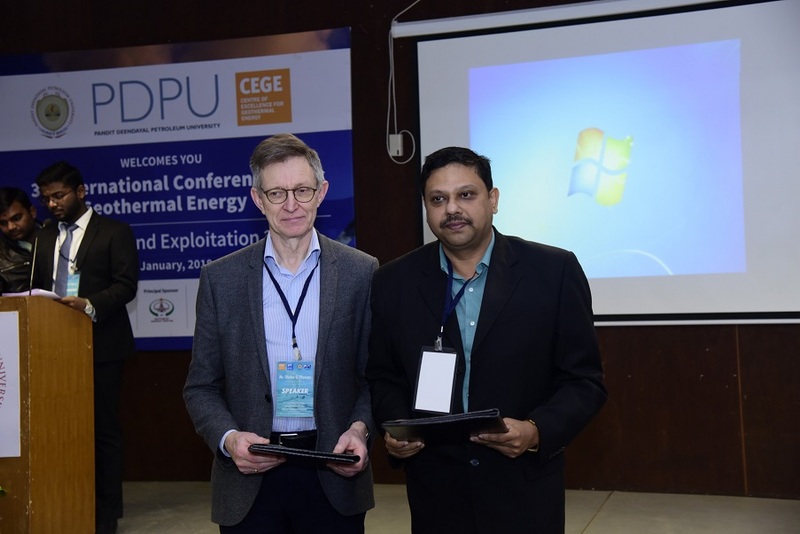 Centre of Excellence for Geothermal Energy (CEGE), Pandit Deendayal Petroleum University, organized 2nd International Conference on “Geothermal Energy: Exploration and Exploitation”, on 29th March 2016, with an objective of discussing techniques involved in exploration and exploitation of Geothermal Energy. The conference was organised in association with Energy and Petrochemicals Department (EPD) and Gujarat Power Corporation Ltd. (GPCL). The principle sponsor and knowledge partner for the conference were ONGC Energy Centre (OEC), New Delhi and Drilling and Exploration World (DEW) Journal respectively. 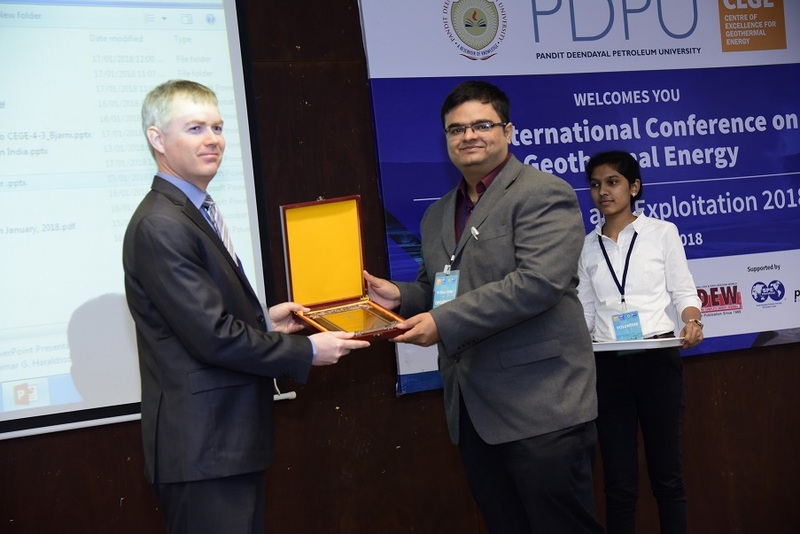 The event was also supported by the Aimil Limited, New Delhi; PetroViz, New Delhi; Petroleum Federation of India (PetroFed); PBG Geophysical Exploration Limited, Poland; Saket Engineering, Vadodara and Society of Petroleum Engineers (SPE)- PDPU Students Chapter. The highlight of the event was the Round Table Discussion during the conference. 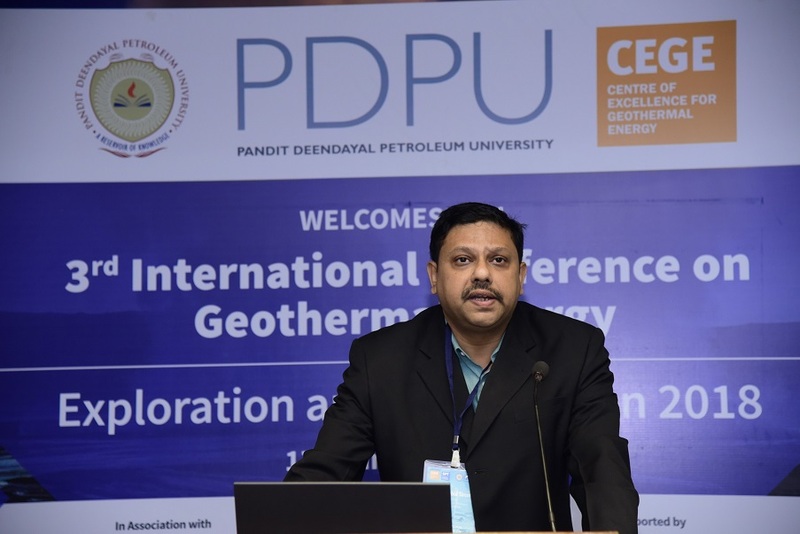 This session was organized to discuss the burning issues and challenges related to exploration and exploitation of geothermal energy in India. Many professionals from power industry, geothermal sector from India and abroad participated in the session. Professionals from IIT, ONGC Energy Centre, GIBSS, GSI, NGRI etc. showed an active participation in the round table discussion. Many key issues were discussed during the session related to exploitation of geothermal energy. The discussion covered topics such as ‘Lack in confidence on sustainability and commercial feasibility of geothermal resources in India’. 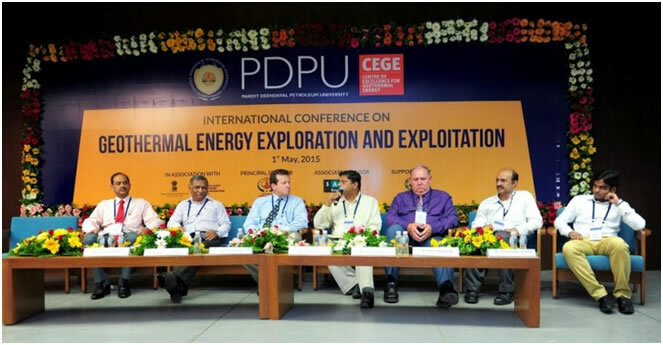 CEGE organized an International Conference on Geothermal Energy: Exploration and Exploitation on 1st May, 2015 at PDPU Campus. 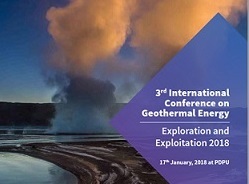 The key focus of the conference was bringing industry professionals, researchers, scientists, geothermal experts, policy makers, academicians and students onto a single platform in order to discuss the issues and challenges in exploration and exploitation of Geothermal Energy. 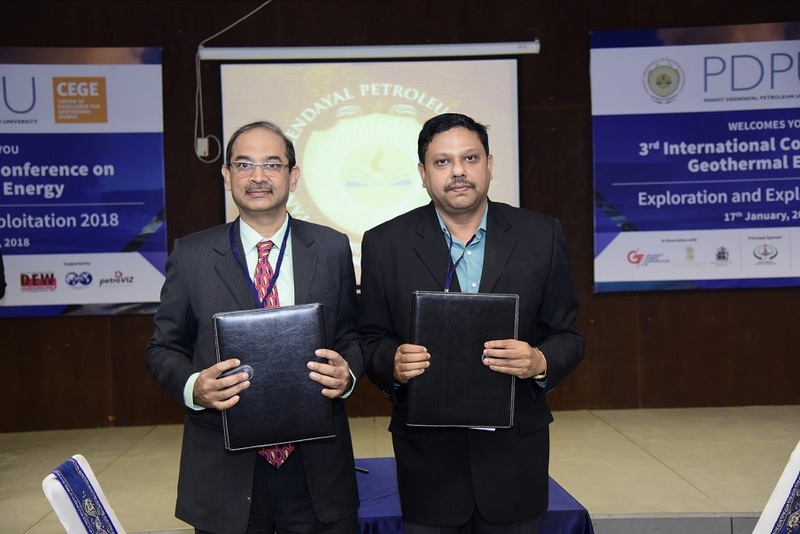 The conference was organised in association with Energy and Petrochemicals Department (EPD) and Gujarat Power Corporation Ltd. (GPCL). The principle and associate sponsors for the conference were ONGC Energy Centre (OEC), New Delhi and Saket Engineering, Vadodara respectively. 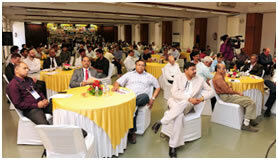 The event was also supported by the Petroleum Federation of India (PetroFed). 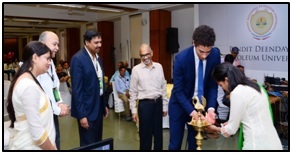 The event was highly successful as the event was attended by many eminent researchers, industry professionals, policy makers and representatives of government organizations and academic fraternity. 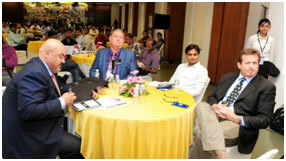 The event was fruitful in terms on knowledge sharing and technical discussions. The highlight of the event was the Round Table Session at the end of the conference. 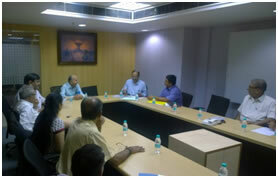 This session was organized to discuss the burning issues and challenges related to geothermal energy scenario in India. 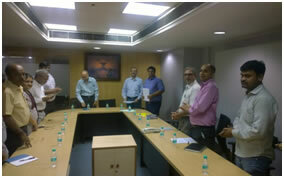 All the stake holders of geothermal energy in India and guests from abroad participated in the session. Many key issues were discussed during the session. The event was covered by leading local and national dailies on the next day. The conference was covered by DNA, Divya Bhaskar, Gujarat Samachar, Rajasthan Patrika and Navgujart Samay (ToI Group), which is a huge achievement for the centre and the university as well. Centre of Excellence for Geothermal Energy (CEGE) organized a Geothermal Workshop on 3rd March 2015. The objective of the workshop was to discuss the best possible location for drilling of parametric well. 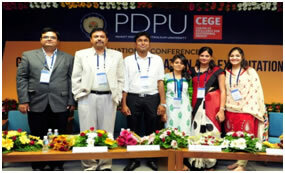 CEGE hosted experts from academics as well as industry. Drilling, Production and Electrical experts from ONGC and GSPC had joined. 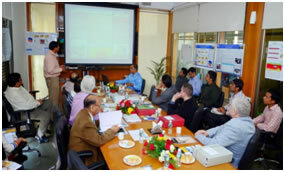 Magnetotelluric (MT) experts from ISR, PBG and ISM were also present and a detailed discussion was carried out on MT survey conducted by various agencies. 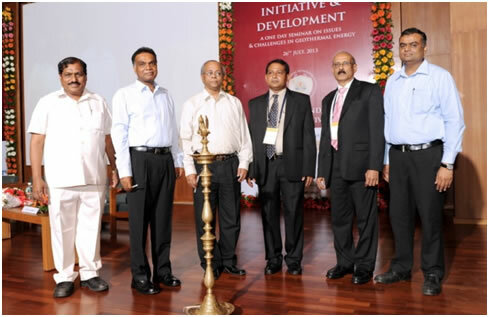 CEGE organized an International Geothermal Seminar on Geothermal Energy Initiative & Development on 26th July, 2013. The seminar provided an opportunity for industies, academicians, researchers and geothermal experts from all parts of the world to contribute towards the development of geothermal energy. Experts shared their valuable views and experience on a wide range of topics related to successful implementation of geothermal power projects. The seminar witnessed talks on interesting topics related to ‘Trends & Challenges in Geothermal Exploration’, ‘Sustainable Geothermal Utilization’ and ‘Analysis and Case Studies on Geothermal Systems’. 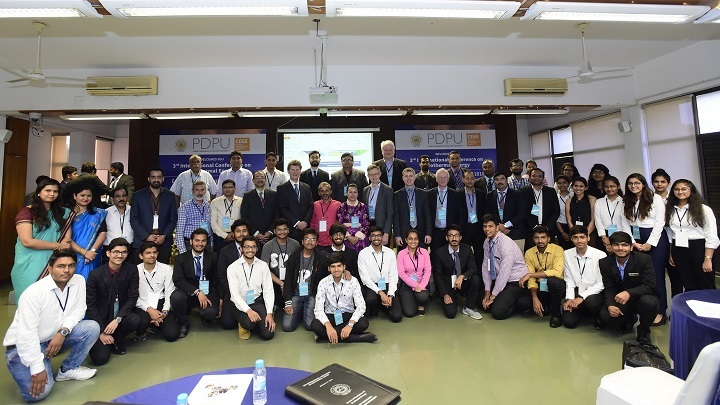 The seminar was attended by industry representatives across India and abroad, academicians, government officials and students of PDPU.